Friends and Fans of Glass Beads Daily: Your hostess is having shoulder surgery today and our focus will shift this week from beads for sale to artisan profiles. We will have our header artist salute tomorrow and will have our holiday listings as usual on Saturday and will return to regular programming on the 10th. Our artisans will still be sharing their works for sale below. 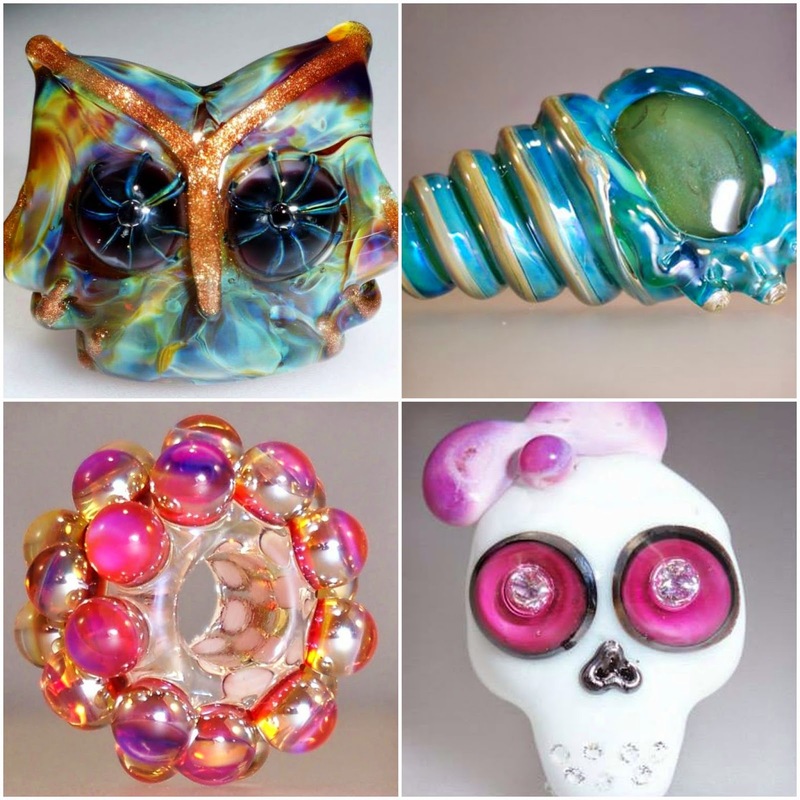 Today we are taking a look at the fabulous glass bead creations of Suzan Ranew of Dallas, Texas. Her owl beads have been featured in several of The Flow magazine's Women in Glass issues. Her seashell beads are fantastical and stunning. The dotted Pandora beads she creates cause frenzies in the Glass Bead sale pages on Facebook.